Experience the old world charm and history of this unique Blue Mountains hotel. In the heart of beautiful Katoomba. The historic Metropole Guesthouse offers unique Blue Mountains accommodation. Directly across from Kingsford Smith Park and within walking distance of the main tourist attractions, shops, cafes and the train station, this hotel is ideal for your Blue Mountains getaway. An iconic Blue Mountains Hotel established in 1933, The Metropole Guesthouse allows you to step back in time with old-fashioned service in the licensed dining room, relax with a book in the library and unwind by a gas log fire in one of the many antique, character-filled lounges. Enjoy the last few weeks of school holidays – plan your mid-week prehistoric adventure! Take a walk on the wild side at Scenic World’s Dinosaur Valley and see these prehistoric creations in action before they die out..again. Only until January 28th, this interactive, action-packed adventure playground awaits. 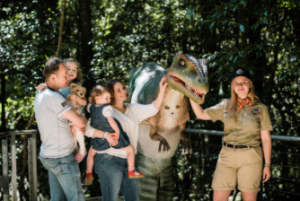 Book your prehistoric adventure now and stay with us, the perfect excuse to escape the city for a family getaway. We absolutely love the Metropole guesthouse. Every time we’re in the mountains we stay at your charming guesthouse and will continue to do so for many years we hope. Our room is absolutely delightful with spectacular views over Katoomba. The staff are so friendly and helpful. The sheets and towels are crisp white and the brekky is delicious. 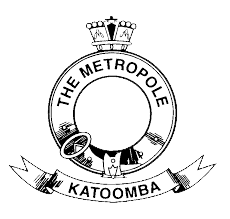 Katoomba accommodation, The Metropole Guesthouse is right where you need to be.